Rosie Bank has been helping people live more successfully in their bodies since the mid-1970’s. The author of four books, an international speaker, and a Board Certified Integrative Nutrition Health Coach, Rosie leads her clients to get on the same page with their bodies and their health. Working with busy professionals, Rosie helps you connect the dots between your health and your productivity and your bottom line. Rosie Bank is an entrepreneur, author, international speaker, and Board Certified Health Coach. She is the author of four books, founder of Health Matters Coaching and podcast, and a member of her company’s Million Dollar Club. Rosie teaches busy professionals how to profit, compete, and thrive by optimizing their health. Chef Jamie Gwen interviews Health Coach, Rosie Bank. Don’t want to become a vegetarian? Let Rosie and Jamie show you how to eat meat and still stay on track with your health. Rebecca Hall Gruyter shares her powerful 2017 Mindful Holiday Magic Success Panel featuring: Deb Dutcher, Dixie Bennett, Rosie Bank, and Marlene Elizabeth. Each powerful expert shares what they are launching, building, and bringing to the world! Enjoy this powerful, inspiring, and heart-warming group of experts who are stepping out into the world in a big way! 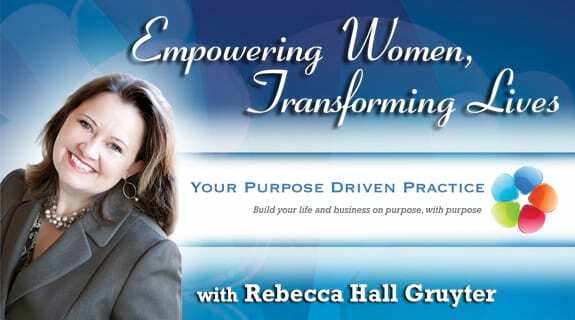 Rebecca Hall Gruyter (RHG TV Network) and Rosie Bank (Health Matters Podcast) shares how your health and professional success are tied together. They also share tips to increase your energy, have better health, and take realistic steps forward. Nutrition has a huge impact on our bodies and then our lives. I have made it my goal to teach people how to get their nutrition in line and get their bodies in line and therefore get their lives in line. Changing your nutrition can keep you from a destructive path and let you find happiness like never before. That is what I have set out to teach others and I have explained how we can start ourselves on that path in this podcast. I really enjoyed this. I listened to the entire thing. It was very interesting to hear about different techniques, strategies, and theories about food, health, and happiness and also to hear a little more about your story and what brought you to your work. That light-bulb moment you had about nutrition being a practice, like yoga, was beautiful and I’m sure has inspired your work further. I think many people get intimidated with the idea of losing weight or achieving health because it seems like such a daunting task. Meeting people where they are at is so important…and is a method that I follow in my work as well. I think my favorite part of it was the explanation of how the body’s functions are a result of some unfinished business in dealing with a traumatic experience. I find that really fascinating. I also loved the concept of nutrition and “health” and not an ending goal, but as a launching pad and foundation for other openings in your life. The problem with health messaging today is that it does portray health as goal instead of a habit, and that is troubling. I also don’t think I was aware that the process of observing and smelling your food was an integral part of the digestive system. With the exception of wine, I do not usually make it a point to look at or smell my food before I consume it! I will certainly start now. Thanks for your insight and for the work you are doing. I learned a lot. In this episode, Rosie teaches us how to take care of our bodies so that we can be able to invest better in real estate and achieve the kind of happiness and energy we deserve. What are the most common problems you see among your clients? What do you mean by health being an asset class? What do you mean when you say to invest in our health? What are the risks of not investing in our health? What are your three favorite distinctions to offer our listeners who want to invest in their health? Join Rosie Bank (www.HealthMattersCoaching.com) and attendees as she invites us to powerfully and lovingly take our bodies with us as we take the stage in life with energy, vitality, and purpose! Enjoy this powerful show as she shares how we can support our bodies so that they can powerfully support us!